We brought this style back in a new color because it was such a crowd favorite. 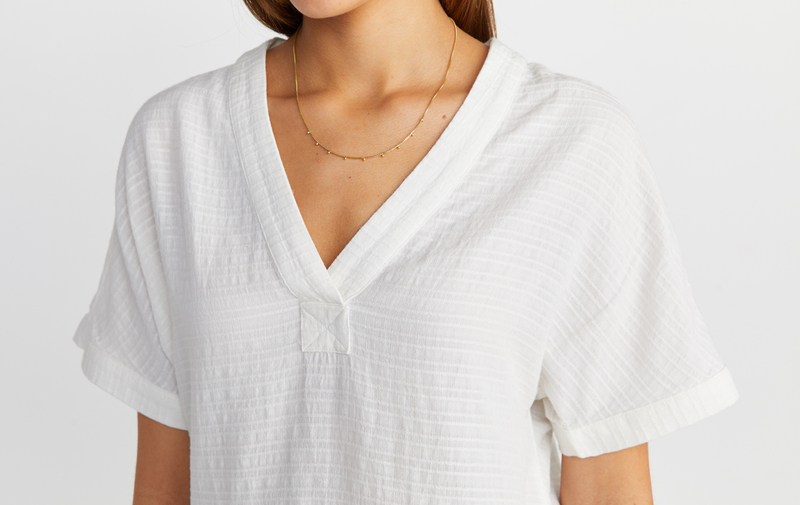 It's a breezy popover with a clean v-neck, rolled cuffs, a little cap sleeve, and a nice pleat in the back for an easy fit. Now in a brand new textured fabric that we're calling "Shadow Stripe."